WASHINGTON/NEW YORK (Reuters) - Pfizer Inc <PFE.N> said on Tuesday it was deferring drug price increases for no more than six months after the company's chief executive officer had an extensive conversation with U.S. President Donald Trump. The rollback came a day after Trump took aim at Pfizer and other U.S. drugmakers for raising prices on some of their medicines, saying in a tweet that they "should be ashamed" and that his administration would respond. 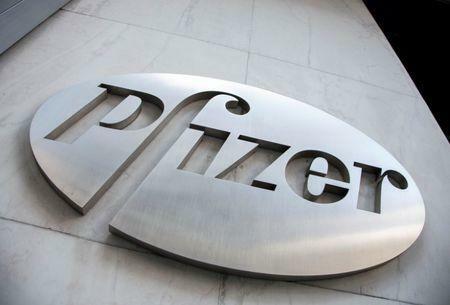 Pfizer on Tuesday said it would defer price increases that went into effect on July 1 until the end of the year or until the president's drug pricing blueprint goes into effect - whichever is sooner. The company said it would return drug prices to their pre-July 1 levels as soon as technically possible. 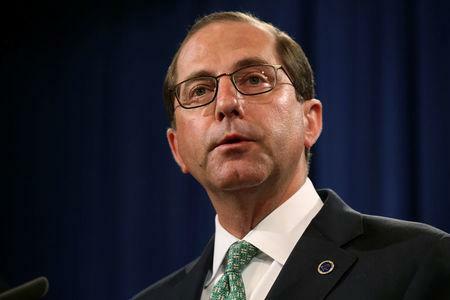 On Tuesday, Trump said in a tweet that Pfizer had agreed to roll back drug price hikes after he and U.S. Health and Human Services Secretary Alex Azar spoke with the company's CEO, Ian Read. "We applaud Pfizer for this decision and hope other companies do the same," Trump, who is travelling in Europe, said in a tweet. Pfizer, one of the largest pharmaceutical companies, now likely will not raise drug prices until after the 2018 midterm elections in November. That gives Trump, who made lowering prescription drug prices a top 2016 presidential campaign issue, a short-term victory he can point to in the run-up to the elections, which are being closely watched to see if Trump's fellow Republicans will be able to maintain control of both the Senate and the House of Representatives. Pfizer raised list prices on around 40 medicines earlier this month. Those include Viagra, cholesterol drug Lipitor and arthritis treatment Xeljanz, according to Wells Fargo. List prices do not include rebates and discounts drugmakers may offer. The Trump administration has not yet taken significant action to lower drug prices. Azar has said lowering prices long term will take years because of the complexity of the healthcare system. Trump rolled out a blueprint in May on how his administration planned to lower drug prices. Trump said in May that some drug companies would announce "voluntary, massive" price decreases in two weeks, though none have materialized yet. Pharmaceutical company shares rose after Trump unveiled his drug pricing blueprint. Azar praised Pfizer on Tuesday. "I commend Pfizer for its constructive and professional approach, and its desire to work with President Trump to be part of the solution and not part of the problem," he said in a statement.